Immigrants have always been vital assets to the U.S. economy and contribute greatly to the nation’s total economic output and tax revenue. In 2013, for example, immigrants added $1.6 trillion to total U.S. gross domestic product, or GDP. Economists have found that immigrants complement native-born workers and increase the standard of living for all Americans. Additionally, as consumers in local communities, immigrants create demand for small businesses and strengthen the economy. Immigrant entrepreneurs have also played a significant role in advancing technological innovation and creating businesses. Although immigrants’ economic contributions are significant, they could be even greater. 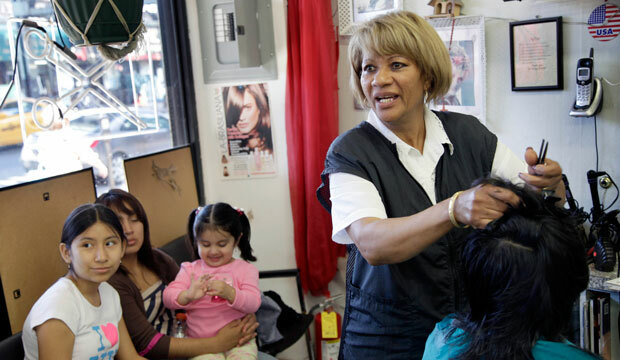 If Congress enacts a legislative reform that includes a pathway to citizenship, then more unauthorized immigrants could participate in the formal economy. The same would be true if the Supreme Court permits two critical components of the Obama administration’s November 2014 actions on immigration—the Deferred Action for Parents of Americans and Lawful Permanent Residents, or DAPA, and an expansion of the Deferred Action for Childhood Arrivals, or expanded DACA—to be implemented. These political and legal battles are preventing millions of people from joining the formal economy and, in turn, holding back U.S. economic prosperity. Some of the most influential entrepreneurs in the United States are immigrants or children of immigrants. This is especially true in the tech industry, including Google founder Sergey Brin, who fled the Soviet Union as a young boy almost 40 years ago; Yahoo founder Jerry Yang, who emigrated from Taiwan at age 10; and Microsoft CEO Satya Nadella, who emigrated from India. In fact, more than 40 percent of Fortune 500 companies in 2010 were founded by immigrants or their children. This includes both major companies from the past few decades—such as AT&T, Apple, and Google—and also older giants, such as McDonald’s, General Electric, and Bank of America. Fortune 500 companies are a tremendous part of the national economy; in particular, the 40 percent founded by immigrants or children of immigrants generated more than $1.7 trillion in revenue and employed 3.6 million people in the United States in 2010 alone. Apart from immigrants’ contributions in big businesses, they have also made an impact as small-business entrepreneurs. Immigrants make up about 28 percent of small-business owners and are two times more likely to become entrepreneurs than the native-born population. In 2010, immigrant-founded small businesses generated more than $775 billion in sales and $100 billion in income and paid more than $126 billion in payroll taxes. On average, immigrant-owned small businesses each employ about eight employees and collectively provide jobs for about 4 million people in the United States. Such small-business owners include Enrique Castañeda, who emigrated from Mexico at age 17 and started his own cleaning company in 1992. With an initial investment of approximately $1,000 for chemicals and cleaning supplies, his cleaning company, Above and Beyond, quickly expanded from carpets and apartments to fire and water damage and even the dangerous but growing industry of cleaning biohazard and crime scenes. Castañeda’s business is still thriving and evolving after 24 years. His original investment has grown exponentially, and the business itself has grown from a single person at its founding to about 20 employees, according to Castañeda. His business represents the entrepreneurship and hard work that immigrants bring to the U.S. business community. All immigrants, regardless of legal status, contribute to the American economy. The 11.3 million unauthorized immigrants living the U.S. today contribute $11.64 billion in state and local taxes each year. The Social Security Administration estimates that unauthorized immigrants contribute a net of $13 billion in payroll taxes annually, which helps to strengthen the Social Security system. DAPA and expanded DACA would magnify the economic gains from unauthorized immigrants by bringing up to 4 million people off of the economic sidelines. The Institute for Taxation and Economic Policy, or ITEP, projects that implementing DACA, expanded DACA, and DAPA would increase state and local tax revenue by $805 million each year. On top of that, these initiatives would grow the U.S. economy by $230 billion over 10 years. Such economic expansion would raise wages for all workers and create thousands of new jobs each year. Despite their massive economic benefits, DACA, expanded DACA, and DAPA have been challenged in court and their implementation has been put on hold until the Supreme Court rules on this issue. The gains that the country would realize from enacting legislation with a path to citizenship would be even greater than those from implementing DAPA and DACA. President Barack Obama’s executive actions only provide work authorization and some legal protections to less than half of the total unauthorized population. Presumably, congressional immigration legislation would provide laws and protections that extend to a larger share of the nation’s unauthorized population. ITEP projects that fully legalizing the current 11.3 million unauthorized immigrants would add $2.1 billion in state and local tax revenue each year. Similarly, providing a pathway to citizenship for all unauthorized immigrants would increase GDP by $1.2 trillion over 10 years and create 145,000 jobs annually. Immigrants have historically played an important role in the building of the United States, and they continue to carry that legacy today. President Obama’s administrative actions are a step in the right direction, but ultimately, it is up to Congress to reform the immigration system so that it will be both humane and beneficial to the nation. Cesar Maximiliano Estrada was formerly an intern with the Immigration Policy team at the Center for American Progress.